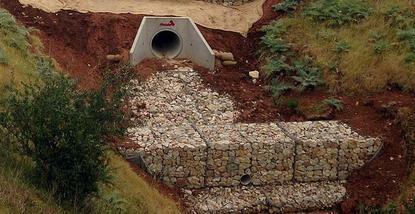 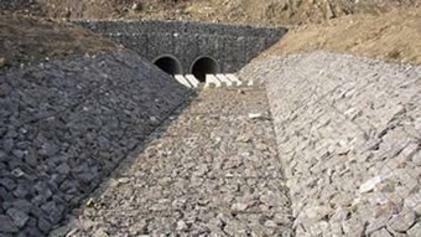 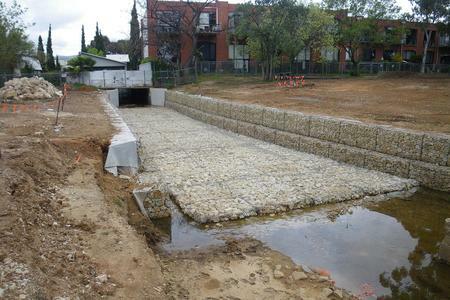 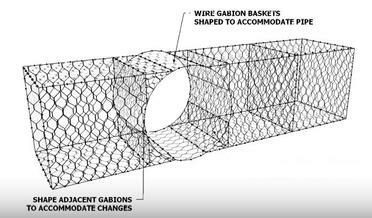 Gabions are an excellent solution for culvert outlet pipe protection. 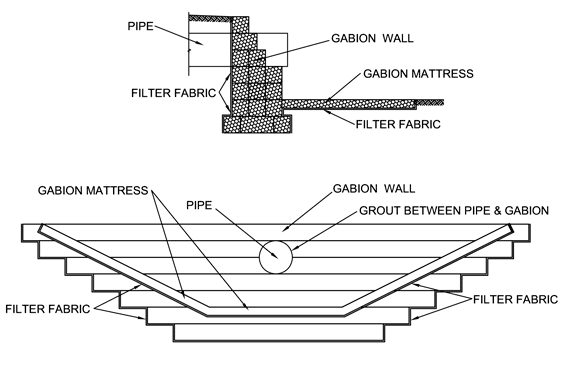 When properly installed, they help to reduce the depth, velocity and energy of water discharging from the outlet pipe. 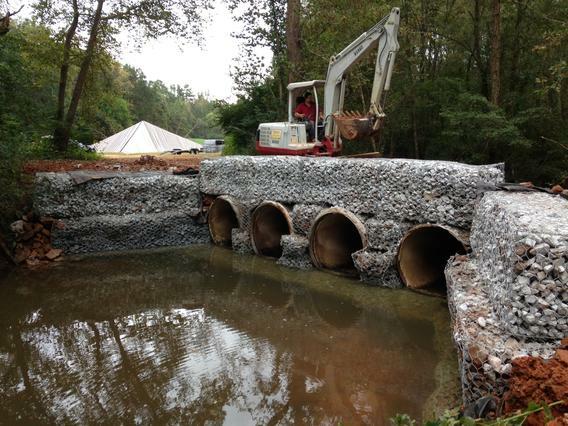 The scour apron is placed at the base of the inlet our outlet and is designed specifically to prevent scour and erosion on the base.